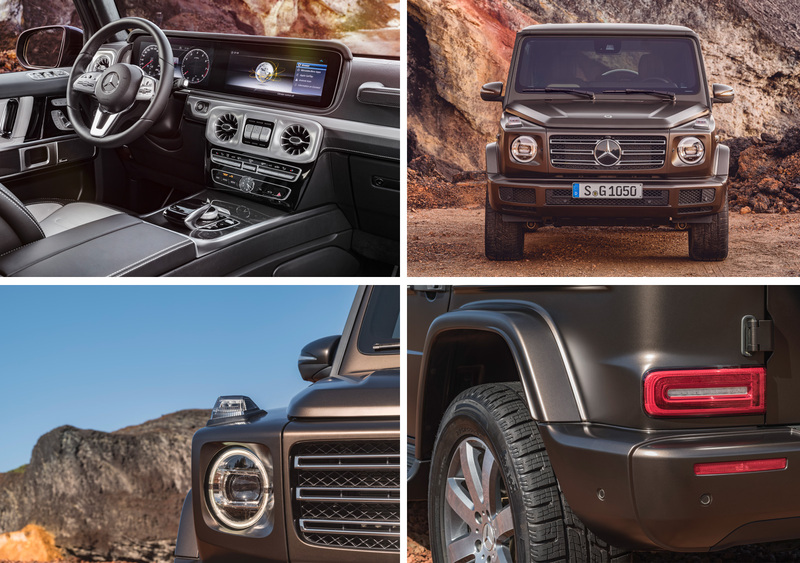 A new launch for Mercedes-Benz G-Class SUV, the off-road legend has reinvented itself with the biggest makeover in its history. Mercedes-Benz motored into the recent 2018 North American International Auto Show in Detroit, with the re-launch of a classic. The brand unveiled the highly anticipated new G-Class, its luxury off-road legend. The 2019 model underwent the biggest makeover in its history. The enhanced new design of the G-Class SUV follows the philosophy of Sensual Purity and at the same time remains true to the character of the original. The G-Class has long been considered a design icon from Mercedes-Benz. Its external appearance has not changed significantly since 1979. Iconic elements continue to serve very specific purposes, now as then, and to give the G-Class its unique appearance. These features are still found in the new G-Class: the distinctive door handle and the characteristic closing sound, the robust exterior protective strip, the exposed spare wheel on the rear door and the prominent indicator lights. Special features like these in conjunction with the off- roader’s angular lines define its special distinctive look. Whether on or off the road and whatever the operating conditions, the off-road vehicle impresses with its performance, cutting-edge assistance systems, outstanding handling, and safety. At the same time, the new suspension, the dynamic select driving modes, the “G-Mode” and the three 100-percent differential locks enhance not only ride comfort but also agility – on any surface. 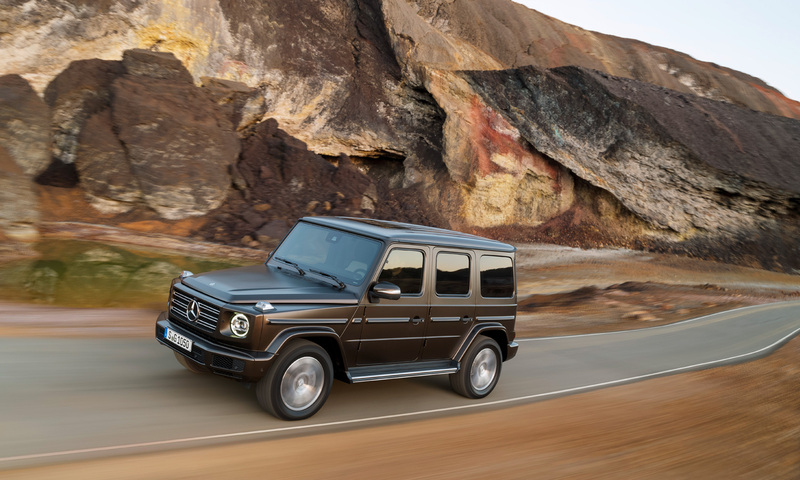 “The new G-Class continues to set the bar higher in all relevant areas – in terms of performance both on and off the road as well as with regard to comfort and telematics. Our ‘longest-serving’ model series is therefore ideally equipped to continue its success story. In short, the new ‘G’ is still a ‘G’, only better,” stresses Ola Källenius, Member of the Board of Daimler AG responsible for Group Research and Mercedes-Benz Cars Development. The vehicle comes equipped with a host of new G-Class standard features such as LED headlamps, advanced driver assistance systems, a high-quality interior with leather seats and a new suspension. Additionally, options such as the Exclusive Interior Plus with diamond-stitched leather provide even more customization. 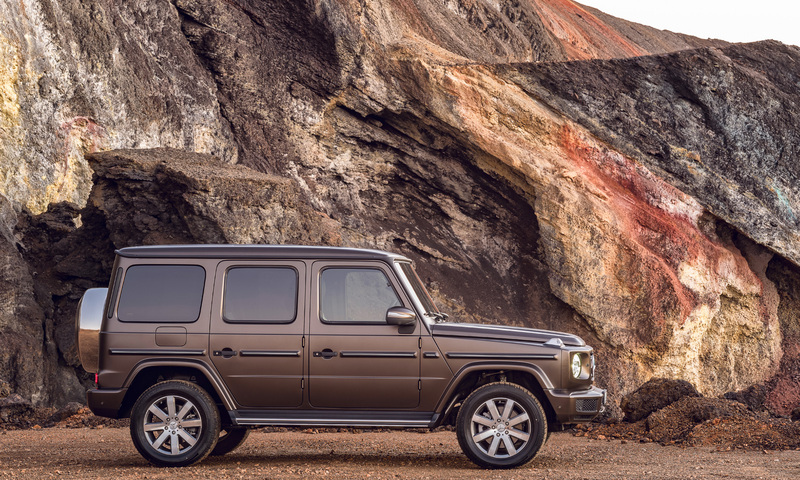 Powerful and efficient, the G-Class combines performance with sporty style and high-efficiency. At the heart lies a new, electrified 3.0-liter engine featuring twin-turbocharging by means of an exhaust gas turbocharger and an electric auxiliary compressor. In the new G 550, a high-performance 4.0-liter V8 gasoline engine ensures powerful propulsion. The new biturbo produces an output of 416 hp and a maximum torque of 450 lb-ft at 2,000 to 4,750 rpm, which is carried over from the previous model. Longer and wider, the revised dimensions of the now larger G-Class benefit not only the driver and front passenger, but also the passengers in the second row. The vehicle is 2.1-in longer and 4.8-in wider and now has an even greater presence on and off-road. 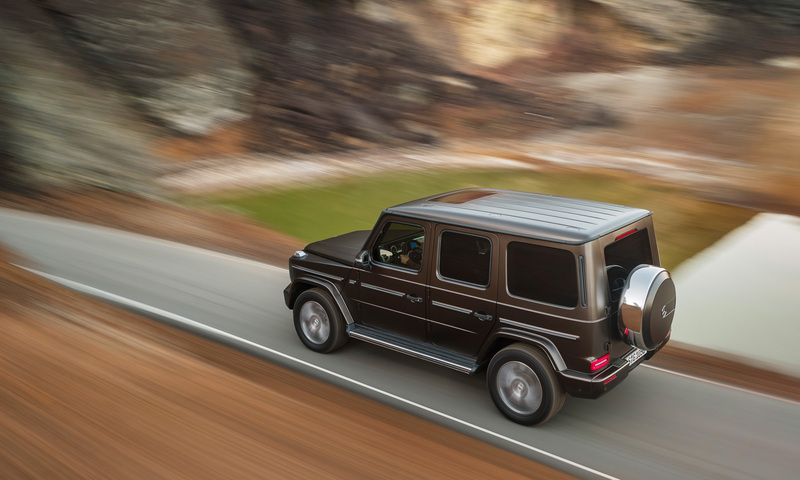 The new 2019 Mercedes-Benz G-Class SUV will go on sale in the U.S. by late 2018. The Notorious Land Rover Defender AVANT-GARDE Edition by Arkonik makes a special appearance in Miami at Land Rover South Dade. Casa de Campo’s Unlimited Teeth of the Dog golf packages, ideal for early spring getaway in the Dominican Republic. The new Michelob ULTRA Pure Gold is the first light beer made with organic grains, and it’s available in eco-friendly packaging.